Over 25 years of experience delivering thousands of voiceover projects for clients in the US, Europe, and the Middle East. I've also trained employees in the classrooms of a Fortune 100 company. Let’s work together to keep your eLearning engaging. Fanatical about quality. Easy to work with. I have a deep, warm voice that naturally conveys a feeling of wisdom and authority. It’s perfectly suited to financial, compliance, certification, new hire, legal, investment, insurance, and medical courses, as well as the narrator role in ESL lessons. All work is recorded on professional grade equipment in an isolation booth with non-parallel walls for superior audio quality. The sound is consistent, so you won’t have to worry if you need to come back a year later for some pickup lines. To hear samples of my work, go to DeepWarmVoice.com. Click on the More Demos button located at the top right of the brown demo player to hear my eLearning work. 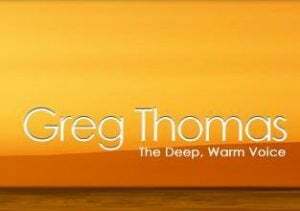 Read reviews and discover other eLearning Industry community members's experience with Greg Thomas, The Deep, Warm Voice.